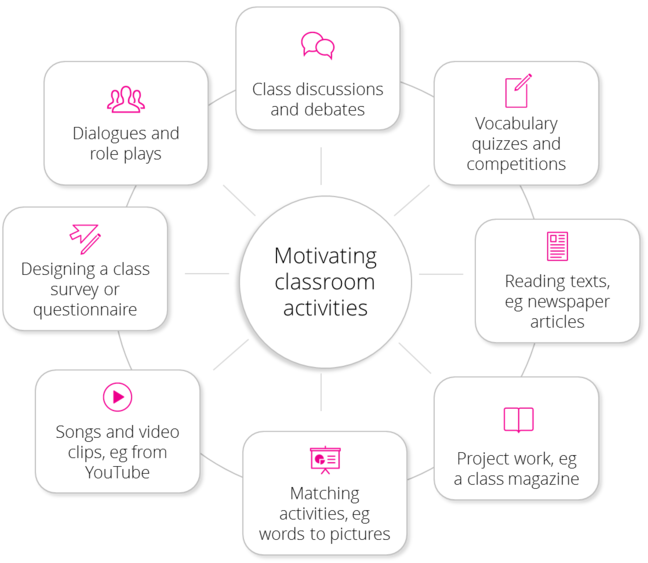 One of the ways to keep learners motivated and to respond to different learning styles in the classroom is to provide variety in the types of activities we choose for lessons. Here’s a diagram which shows many of the teaching materials and activities we’ve talked about which could motivate learners and which may suit different learning styles. Look at the diagram and try to think of an example for each activity which you think would work well in an English language classroom. Choose one of your ideas and share it with us in the comments section below. 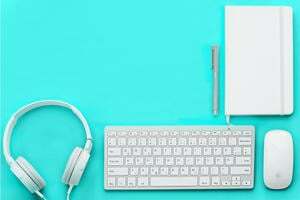 For example, a survey to find out learners’ interests, an article or a story which you think would help students with their reading skills, or a particularly interesting topic for a class debate.